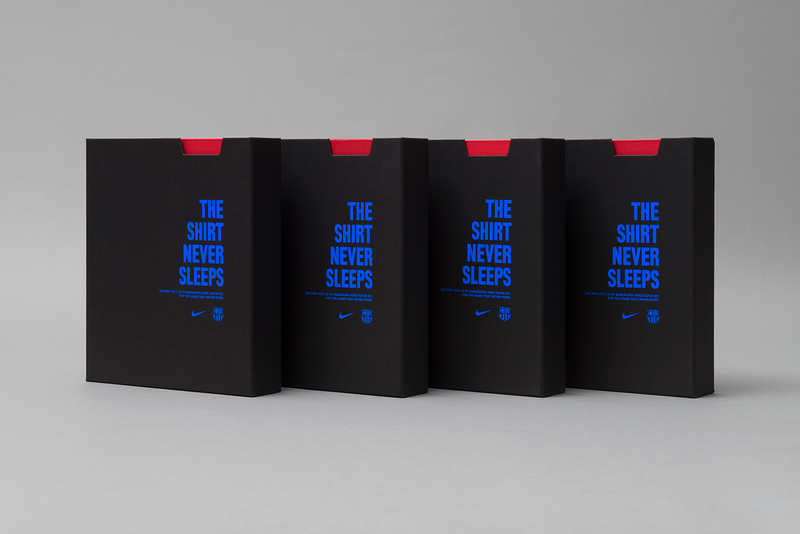 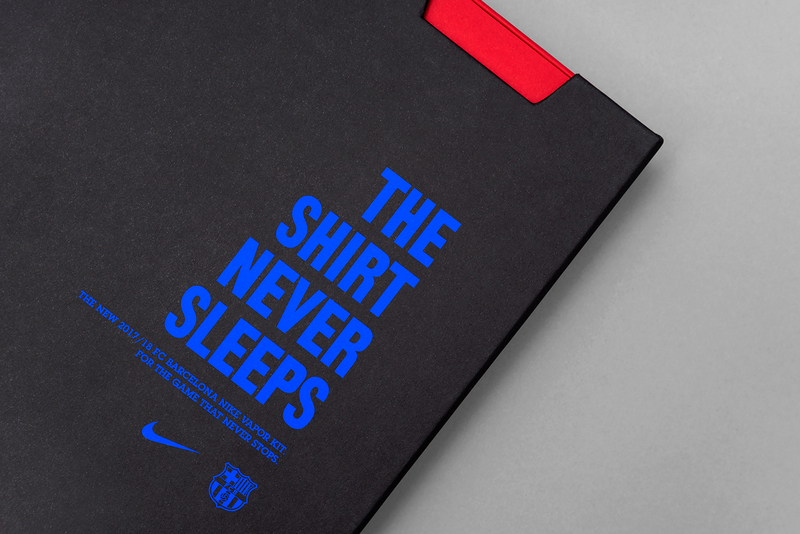 Packaging design for the new FC Barcelona 2017-18 t-shirt. 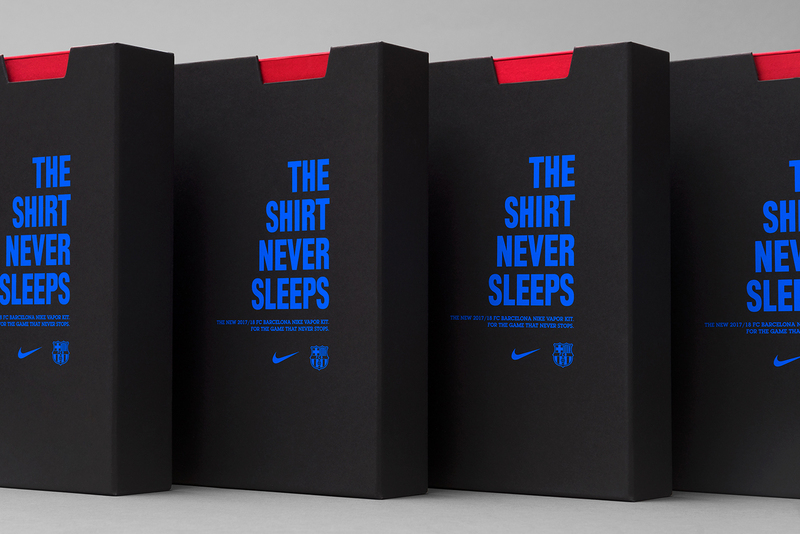 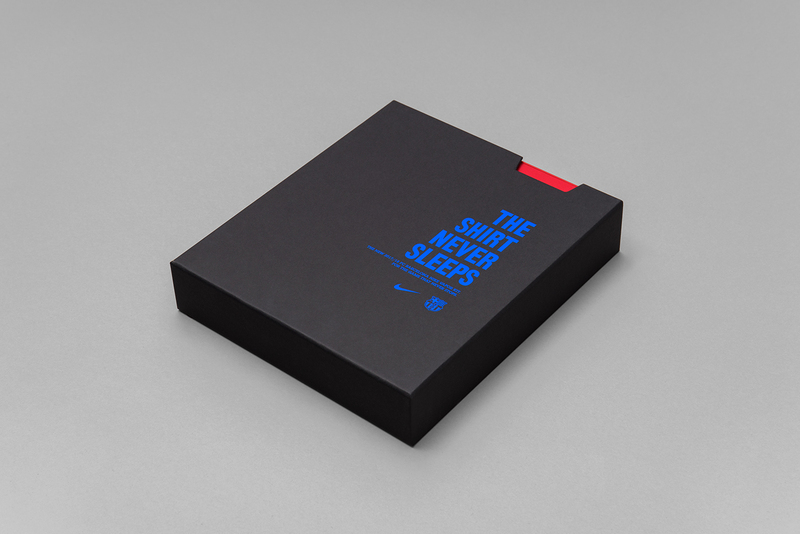 The Box comes with the purchase of the shirt in any official store. 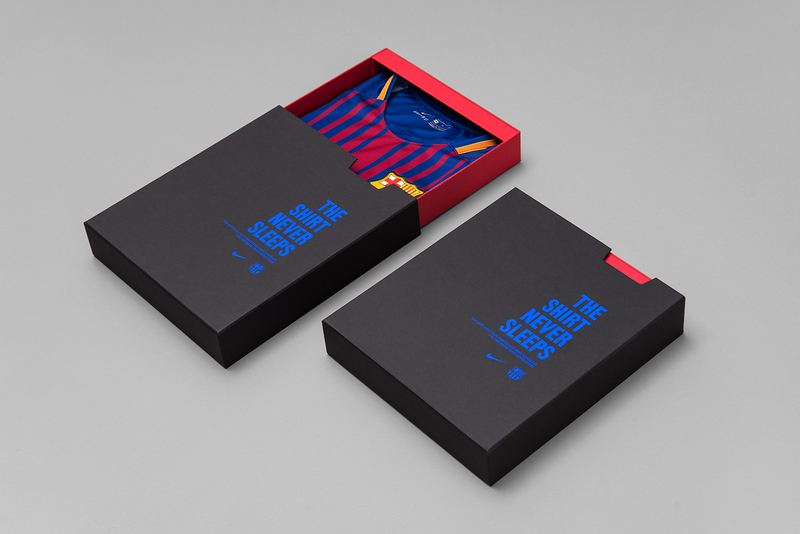 The creative axis based on the identity of Barça, is to create a corporate and elegant pack achieved with two elements, structural design with two pieces and flange and with the finishes of the technique. 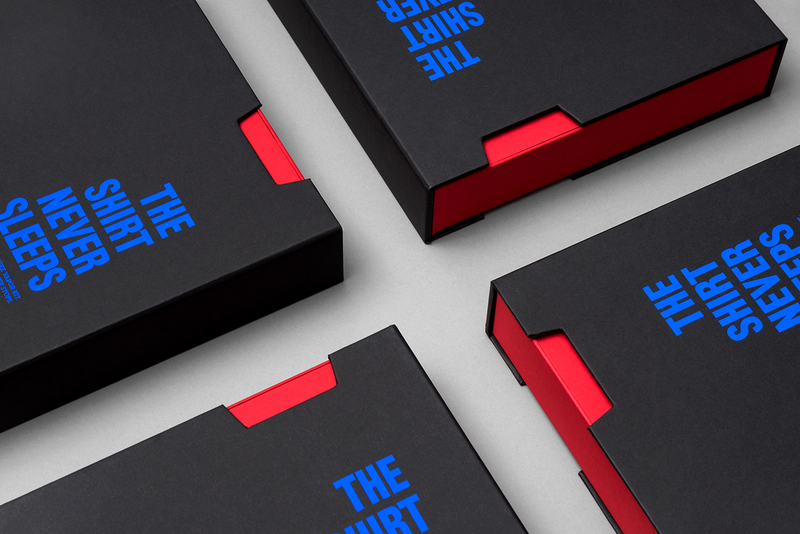 Pop’Set papers in black and ultra red have been used to create contrasts with colored dots, reinforced with the blue silkscreen print of the graphic bringing the packaging point of light.